Microsoft's general manager for UK PR is on a mission to get his firm to engage more with the British public. Sara Luker reports. 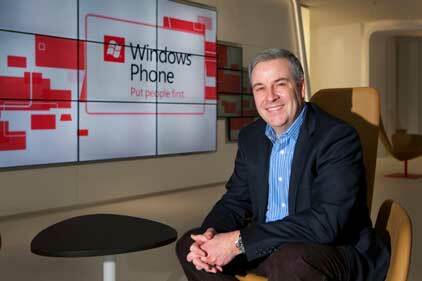 Life is about to get busier for Tom Pilla, general manager of UK PR at Microsoft. It emerged last week that the computing giant is to sue retailer Comet for allegedly making tens of thousands of unauthorised CDs of its Windows operating system and selling them to customers. The case will not worry 44-year-old Pilla, however - after 16 years at Microsoft he has been there, done that and bought the operating system. If you were to cut him, he would bleed Microsoft. Which rather raises the question of why agree to a personal profile in PRWeek? 'We need to do more to engage with people in the UK and I thought it would be great to be in the first issue of 2012 to set the wheels in motion,' he says. Most of Pilla's 16 years of service were spent at Microsoft's headquarters in Redmond, Washington, until a cocktail party proposition turned his head. Ali Perkins, head of UK PR at the time, approached Pilla at the event and asked him to cover her maternity leave. Pilla describes his management style as open, honest and direct. In front of a journalist, however, he is cautious, considered and tiptoes around questions with the finesse of a ballroom dancer. His highly attuned sense for politics is no accident. After majoring in history, political science and comms at school in Philadelphia, Pilla volunteered to work on Republican candidate Joe McColgan's bid for the United States Congress in 1990 and ended up as his press secretary. The contact with the press and being quoted almost daily gave Pilla a taste for public affairs. Even though McColgan's bid to get to Washington failed, Pilla went there anyway. Despite the worsening economy of the early 1990s, he managed to secure employment with public affairs firm Bonner & Associates. A year later, Pilla was working for PR agency Ketchum. During his time there, he worked his way up from account co-ordinator to be a vice-president. His hard work attracted Microsoft and in late 1995 his 16-year love affair with the firm began. His time at Microsoft has been hugely varied; something he believes has kept him interested and mirrored his time agency-side. One task saw him defend Microsoft when the United States Department of Justice filed civil actions against the firm. The case, in the mid-90s, alleged that Microsoft abused monopoly powers in the bundling of its Internet Explorer web browser software with its Windows operating system. 'My DC experience came in handy during the case,' Pilla says. 'And it led to the first formation of a public affairs team at Microsoft. 'It was an intense time and I learned a huge amount about crisis comms, reputational management and public affairs under such tight scrutiny.' Pilla adds that Microsoft itself is now a more mature company and has learned from that case. Although Pilla naturally misses his family and friends in the US, he is in no hurry to go back. He is quick to correct his Americanisms and has even been banned by his team from saying 'awesome'. 'Coming to the UK has added a whole new dimension to my career,' he says. He particularly loves the history of the capital and travelling around the UK, and has also become a fan of Premier League football team Sunderland. His friend Margaret Byrne is the CEO of the club. One senses that, if only time allowed, Pilla's dedication to the cause would see him happily go to every house and business and install the upgrades himself. I'm hoping it's this article. Actually, it was getting hired by Microsoft. Professionally, I have many people to whom I owe a great deal. I had great managers at just about every stage of my career and learned that people often model their behaviour on their managers - good and bad. I have been very lucky to have closely studied great managers and leaders at Microsoft. Don't make that your sole goal. Focus on what you are passionate about, do it well and the career will normally take care of itself. An understanding of the broad and strategic role PR can and should play, thinking three steps ahead, the ability to roll up their sleeves to get the job done and, generally, being smarter than me.